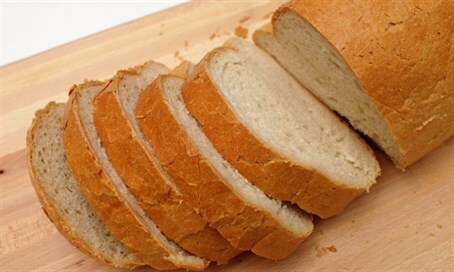 MainAll NewsJewish WorldIs your post-Passover bread really kosher? Is your post-Passover bread really kosher? Orthodox Jews have a strict rule regarding not eating chametz (leavened foods) which were owned by Jews during Passover - during which a strict prohibition on consuming or even owning chametz is in force. Chametz which was not either destroyed or at least sold to a non-Jew over Passover is subsequently forbidden for consumption under Jewish law. Some take the stringency one step further and avoid eating chametz for days after Passover ended, to avoid the possibility of eating such produce. But to make life a little easier, leading haredi Rabbi Karelitz, chairman of the Bnei Brak court, has published the code to look for in the freshest products: 6122. The code consists of the year of production and the number of days elapsed since the start of the Gregorian new year. In the code 6122, the number 6 relates to the year 2016 and 122 specifies the number of days since January 1st. Chametz products appearing with the code 6122 and onward will “Ensures the prevention of fraud for businesses who advertise ‘made after Passover’ when the products were actually manufactured before Passover," said Rabbi Karelitz’s court.